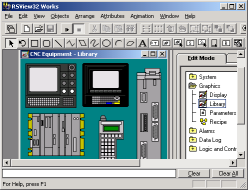 Course Description: In this course, we will look at real world examples of RSView screens from your plant to see how they work on your own systems. Students who attend this course will then learn how to develop professional screens utilizing th graphics and animation features available in RSView, and set up communications between the RSView terminal and the PLC. During the development, students will also learn how to plan a project, set up the screen layouts (including navigation), and deploy the project for the operators to use. Prerequisites: We highly recommend that students of this course first attend a maintenance and troubleshooting course, or be familiar with program and data files in the PLC. Students must also be comfortable working in a Windows environment.